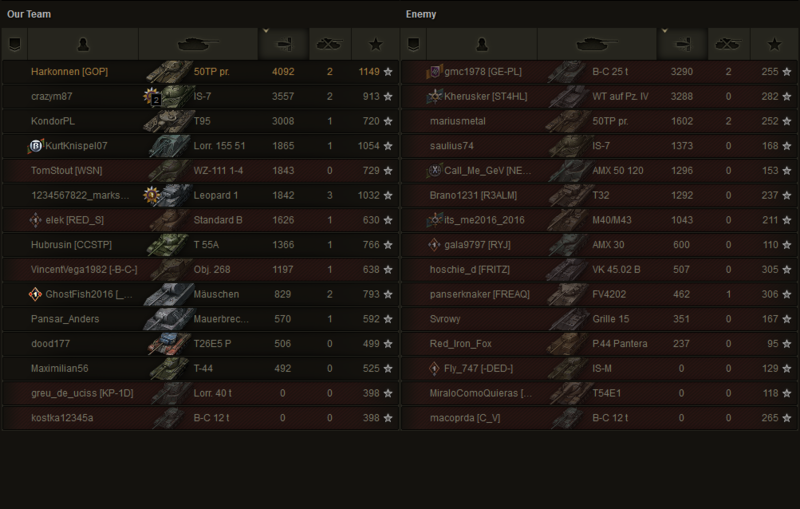 11 Comments on World of Tanks: 50TP Prototyp, a new overpowered tank? The Hussar’s are coming… Or is it just the 50TP Prototyp, Polish heavy tank? Wargaming has decided launched the tank on a pre-sale for all Premium Account holders, so if you are one of the paying customers you can now get this tank in your garage but is it worth it? 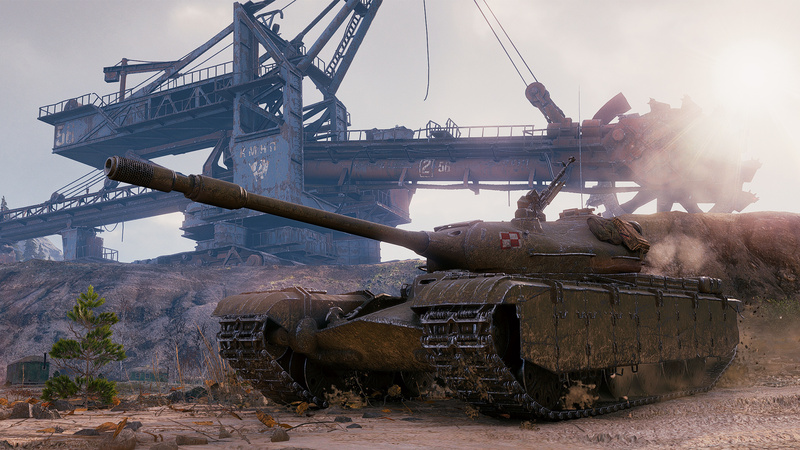 Polish tanks have to be one of the most requested in the game and after such a long wait, the Polish Community will finally have its own nation in the game. But before we can play them, we can get the first true Polish tank ever in the game, Czolg T wz51 or now know as 50TP Prototyp. 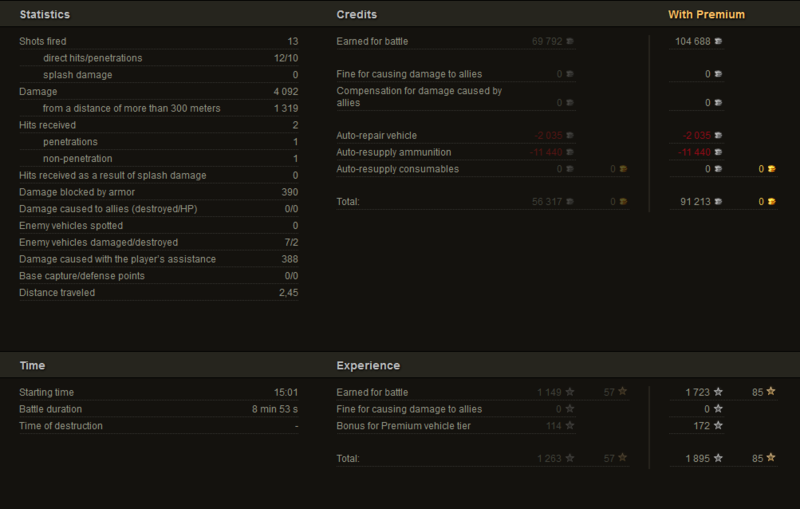 This will be a great crew trainer for your Polish tanks, as from Tier VII the branch will have heavy tanks exclusively. But how good will it be in the battlefield? Early stats of this tank were clearly on the path to a new Object 252U “Defender”, so Wargaming as done some balancing on it and we now get to test it. When directly comparing the tank to a “Defender”, it can look a lot better than the second but, there are two crucial things that make this tank worse: firepower and armour. Armour wise, while it does look like it has 170 mm frontal hull armour, this is only on a small area located at the driver’s hatch, the rest only has 110 mm, meaning you will have some difficulties to bounce as many rounds as you can with a “Defender”. It also has quite a few flat areas that as soon as you turn your tank become a problem, with lower Tier tanks being able to easily penetrate you there. And if you think the turret is much better, then think again because you will be able to bounce a few shots but if you are facing Tier IX and X vehicles, you will have a bad day. Last but not least, the turret roof armour is only 40 mm thick, meaning you can get overpenetration by any 120+ mm gun. 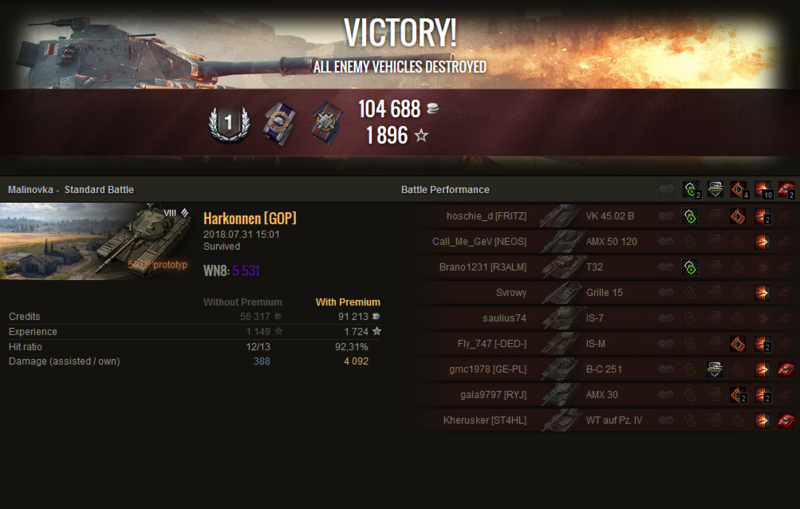 If that wasn’t enough, while it has a 122 mm gun with a good alpha damage, the ammunition lacks penetration. AP rounds have 218 mm, which isn’t bad for a Tier VIII tank, but APCR has 245 mm penetration power, meaning that if you are lucky enough to face a Super Heavy Tank, like for example Type 5 Heavy, you are going to struggle a lot to deal some damage. But not everything is bad, the tank is mobile for a heavy tank, good view range and it has an amazing gun depression that can reach an amazing 10 degrees when the gun is facing more to its sides. With this kind of gun depression, you can climb a hill and easily depress the gun enough if an enemy is to your left or right and connect your shot. And gun handling isn’t bad at all too, better than a Defender, which means you can brawl at medium range and still hit a weak spot. With all of this can we say the 50TP Prototyp is overpowered? The tradeoff armour for better gun handling and soft-stats is a good trade, but the armour isn’t “idiot proof” as the Object 252U, so this means the tank has all requirements for a skilled player turn it into a good tank, but if you are a below average player, while you will be able to have a few decent battles, it won’t be so forgiving on your mistakes like an Object 252U. 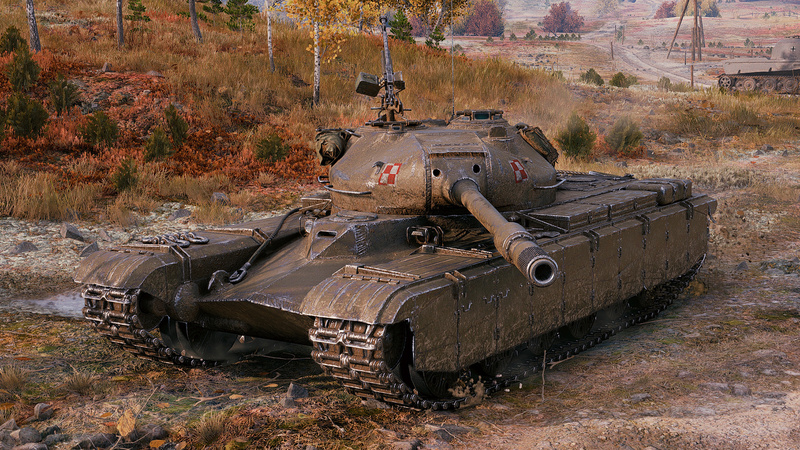 In my opinion, this is a good tank for medium/decent skill players, as it can make decent credits and if played well, it can face Tier IX and X without much problem. But again, to be able to do this, you will need to be smart and play as a second line support tank, never try to be in the front of the battle or you will go back to the garage quite quickly. It’s not “idiot proof” overpowered like a “Defender”, it feels more like this is what Object 252U should have been from the beginning. It’s been a while since last time I wrote a review, so please do let me know if you liked it, what needs to improve and what do you think about this tank in the comments below. Thank you for the review. I found it very helpful but it makes me wonder if I need to get this tank since I don’t have a Polish crew and already purchased the OBJ 252U not too long ago. What does this tank do that’s better than the Defender? Only buy it if you want a polish crew trainer or if you need a premium tank for credit making. Don’t buy it if you just want an OP tank to farm wn8 with. That’s basically what you need to know. Thanks. I don’t farm anything at any point in time. I just care about winning/carrying a game when I can – and never my stats. Not really interested in new tank lines like the Italian or soon to be Polish lines. If there are OP tanks at the end of the rainbow (Tier X) then I’ll worry about it. But for now I don’t feel the need to purchase the flavor of the month. If you aren’t looking for a PL crew training vehicle, then you won’t need this. Defender is more “user friendly” and it’s good enough for what you got at the time. “Only 110 mms on the upper front” Yeah, only 110, sloped at nearly autobounce angle so the effective armor is NEARLY 400mms LOL Weakspot on the turret is about the size of a tank shell at that, being the commanders hatch, which appears to only be reliably penned from the dead center front. Lower plate is easily penned, however. The closer the tank is to you, the harder that will be, as sitting so low, that lower plate will get more and more angled, making it harder to pen potentially. Yeah sure, totally balanced lol. The turret ring is very vulnerable, if you angle even a bit then your “mailbox” will get easily penned. And obviously the sides are not strong at all, only 90mm. This thing is perfectly fine.